With almost all the ballots counted, the Social Democrats had emerged as the largest party but had just 28.3 percent of the vote, making it likely to lose a significant number of seats. The Moderates party was next at 19.8 percent, followed by the Sweden Democrats at 17.6 percent. That's a 4.6 percent increase in their vote share from the last election, held in 2014. Sunday's results make it unlikely that any party will have a majority of the 175 seats in the Riksdagen, Sweden's parliament. It could take weeks or months of coalition talks before the next government is formed. Sunday's election was the first since the Swedish government in 2015 allowed 163,000 migrants into the Scandinavian country with a population of 10 million. The number was far lower than the asylum-seekers Germany accepted that year, but the highest per capita of any European nation. The Sweden Democrats — led by Jimmie Akesson — worked to soften its neo-Nazi image while helping to break down longstanding taboos on what Swedes could say openly about immigration and integration without being shunned as racists. 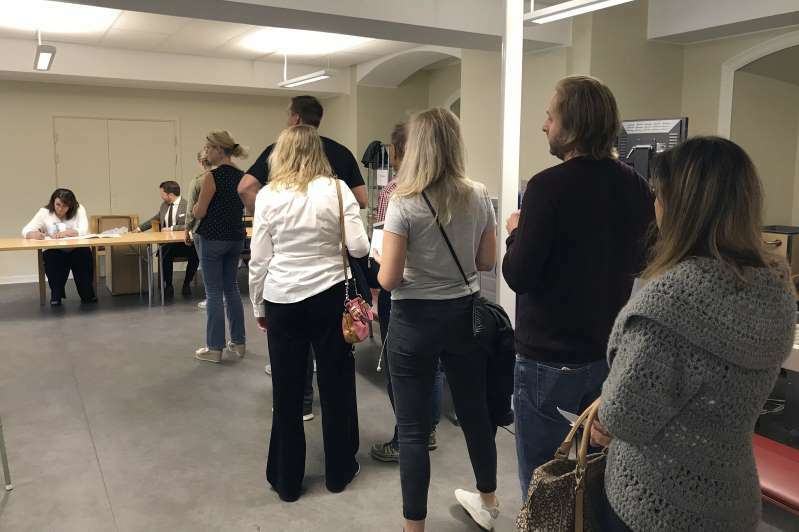 "This government we have had now ... they have prioritised, during these four years, asylum-seekers," Akesson said, giving an exhaustive list of things he says the government has failed to do for Swedish society because of migrants.